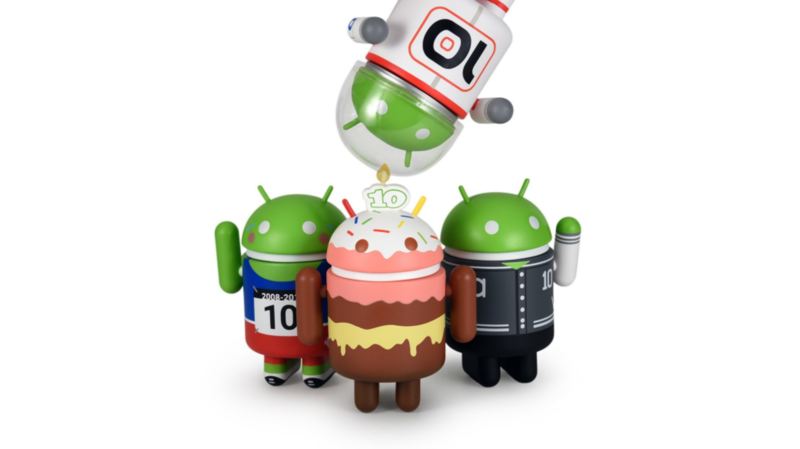 The new collection features the four figures pictured above: Bugdroids styled as a cake with a number-10 candle on its head; a runner with the number 10 pinned to its shirt; an athlete with a varsity jacket featuring the number 10; and an my personal favorite, an astronaut with a 10 on its space suit (and little transparent plastic helmet). The figures will be available individually or as a set this coming Monday. Pricing hasn't been announced, but other individual figures are $10 to $12, with per-figure prices being a little lower for sets. You'll be able snag yours at the Dead Zebra site starting November 26. Sales of the new special-edition figures have gotten underway, right on schedule. You can pick up each of the four Minis for $12 a piece, or snag the four-pack for $44, a $4 discount over buying them individually.